Around 1881, several designs were submitted to Salviati by Herbert A. Bone. These are reminiscent of the panels in the Kensington Valhalla, but they were never made into mosaics. 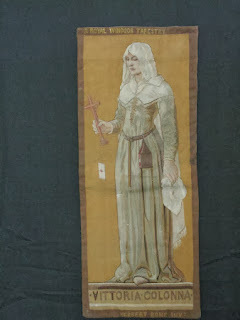 However, six were commissioned by Anthony Gibbs to be manufactured into wool and silk tapestries measuring 3'6" by 1'3" by the Royal Windsor Tapestry company. 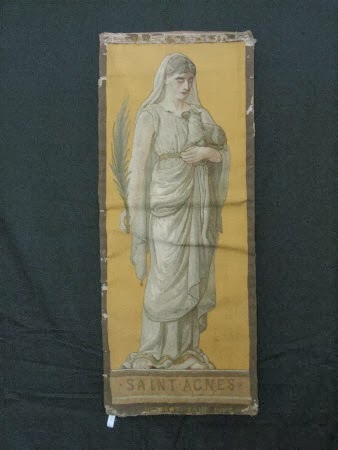 Three of the tapestries are part of the UK National Trust's collection still located at the Gibbs' estate at Tyntesfield. 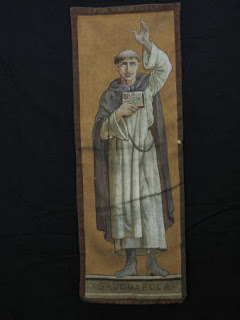 These include Savonarola, Saint Agnes, and Vittoria Colonna and they were originally pinned to a wooden screen in the chapel that's still decorated with Salviati mosaics. Another unused mosaic design was the full-body portrait of Richard the Lionhearted. This tapestry was part of a public auction in late 2013. 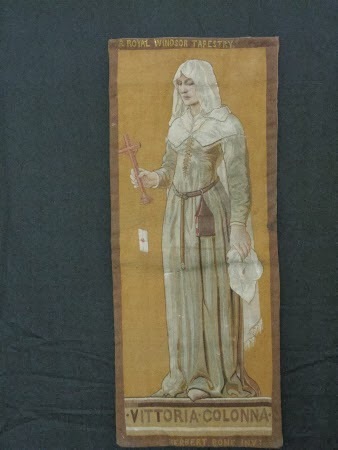 An example of the tapestry featuring Cimabue is in the collection of the Victoria and Albert Museum, while the current location of the one depicting Joan of Arc is unknown.